The newest episode of Then & Now focuses on Rogue, the power-absorbing mutant with sweet Southern charm! Susan and Kitty dive in to talking about Rogue’s powers, her complicated relationships with Gambit, Mystique, and the other X-Men, and more! Get ready to absorb some new information about this iconic X-Men member. The iconic mutant known as Rogue was first introduced to Marvel Comics as a villain. With the power to absorb and steal memories and powers, it seemed an obvious decision to make her a foe to many of the valiant X-Men and Avengers who already existed in the continuity. As time went on, though, Rogue became a heroic, tragic figure whose deadly abilities led her to isolate herself from loved ones and friends. Also known as Anna Marie, Rogue quickly captured the hearts of fans with her Southern charm and complex character development. Over the years she has absorbed many unique abilities and been an incredible ally to the X-Men and to the Marvel Universe in general. She’s even led her own team of Avengers in an effort to unite mutants, humans, and inhumans alike! 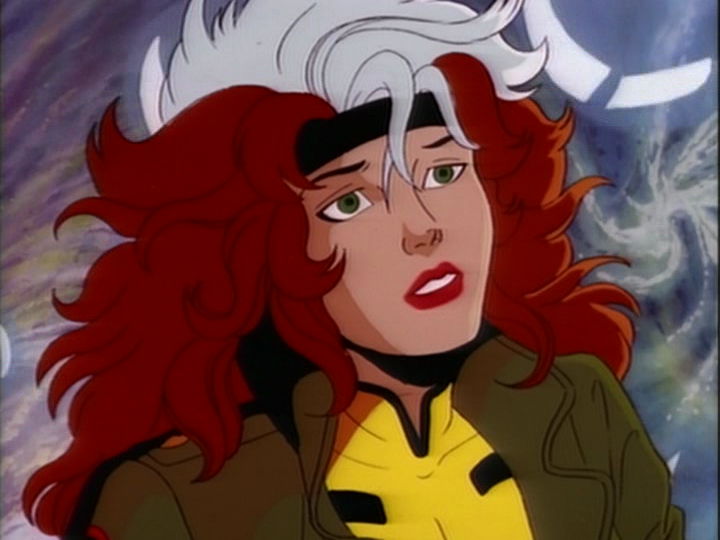 Her on-and-off romance with longtime Cajun paramour Gambit is one of the most popular romances in Marvel Comics, and in the popular X-Men: The Animated Series. Even when she’s given the chance to wipe her slate clean and start over, Rogue remains a hero who will fight for the good of others- even when she sees her powers as a curse.